Water is a must-have. But water coming from a leak in your home? It’s definitely a must-have-not. If you are experiencing this right now in your home, particularly a roof leak, know that you are not alone. You’re not the only one with buckets on standby to replace the nearly full one currently catching all that water dripping down. You’re not the only one being kept awake because of all that dripping sounds that feel like cymbals crashing at the dead of night. Should You Do DIY Repairs? You’re not the only one annoyed at the water marks formed all over your home. And, you’re not the only one wondering where exactly the water is coming from. Roof leaks are good at misleading people; the dripping water may fall from the spot directly above you, but it is actually coming from a spot on your roof several feet away. This is why they are challenging to locate. 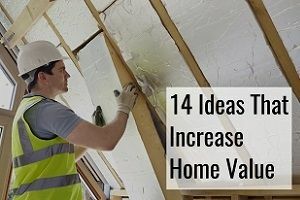 It would be easier if you have an attic that allows you to take a closer look at the area under your roof and see possible entry points of water. But if you don’t have any access to your attic, it would be a pain to do so. Do you want to know how to find a roof leak, with or without attic access? Look no further – we will show you how! People will have varying emotions whenever they see a roof leak in their home. But more often than not, it’s going to be a mix of annoyance and anxiousness. We get annoyed at the idea of having a problem with our home, finding a container to catch the water and change it once it gets full, and the prospect of cleaning up the puddles. We also get anxious at the possibility of having water marks and visible damage inside the house, getting our furniture and other stuff ruined, and if the roof will fall down. Not to mention how much getting it fixed is probably going to cost – we already assume it is going to be expensive. Homeowners tend to dwell on these thoughts, and as a result, procrastinate on getting a leaking roof repaired. We have this belief that leaks are generally an inconvenience that we can learn to live it; we’re willing to put up with constant mopping and changing buckets if it means having to save thousands of dollars on repair. However, we also forget the fact that roof leaks are dangerous. Everyone needs to be aware of the possible consequences of delaying getting them addressed. Reports show that the most common cause of accidents at home has something to do with water, and a significant percentage of that involves leaks. Left alone, leaks will settle and form puddles on the floor that are difficult to see. In effect, anyone can easily slip and fall on the floor. This may result in broken limbs, cuts and wounds, bruises, trauma, or worse, death. We believe that fires can be extinguished by water, but the truth is, water can both stop and start a fire. And if you are dealing with a roof leak, it’s more of the latter. How is this so? Water leaks from the roof can travel in the most random places. Because of this, they may end up dripping over your home’s electrical connections and wirings. When this happens, the chance of an electrical short circuit is magnified. Once a circuit is shorted, this may trigger a fire. And if you’re not aware, electrical fires should never be put out by water. A recent study concluded that mold is present in all homes, yes, even yours, often in small amounts that will not trigger allergic reactions. It’s when they form colonies that you should be wary about. 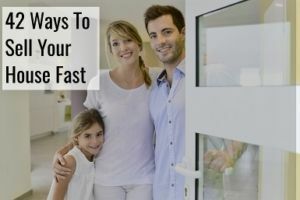 Once they do, anyone may experience allergic reactions, respiratory issues, and other health issues, especially those with compromised immune systems. 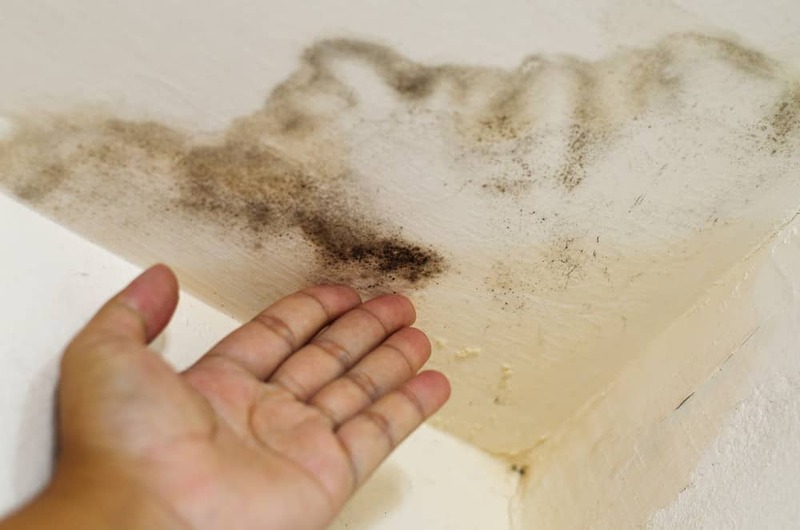 Roof leaks will promote the growth and reproduction of mold, because it provides its ideal environment – a food source, moist environment, and minimal light. Mold come in many different colors, and not just the dreaded black color but also purple and red. Water doesn’t really play nice with a lot of the important components of your home. If your roof leaks, it can cause your wooden rafters to rot, steel trusses to corrode and rust, and foundations to get cracks – these will compromise its structural integrity. The drywall ceilings and walls can also get saturated with water, resulting in deformations and will also weaken it. All these might cause your home to collapse at any moment. If there’s a roof leak present, it will affect the ability of your HVAC system to heat or cool your home. Because of an opening somewhere on your roof, cold air can enter at all times, requiring you to increase the heating, and vice versa. Say hello to increased household bills. It pays to be aware of the risks and possible dangers of not immediately getting a roof leak fixed. This will give you a sense of urgency, which is a must when leaks are involved. After reading all that, doesn’t it make you want to dash out and get your roof fixed asap? Roof leaks happen for a myriad of reasons; it’s not just because there’s a hole somewhere. It is also because of these numerous possibilities that makes it hard to locate a leak and pinpoint exactly what caused it. Even the best roofing contractors in town will have to investigate and eliminate the possible causes before concluding what caused the leak on your roof. The majority of these causes will boil down to one thing – neglecting proper maintenance. It is a misconception that roofs can be left alone once installed, and you will only have to get up on the roof, or have someone do it for you, when it is badly damaged and needs to be replaced. 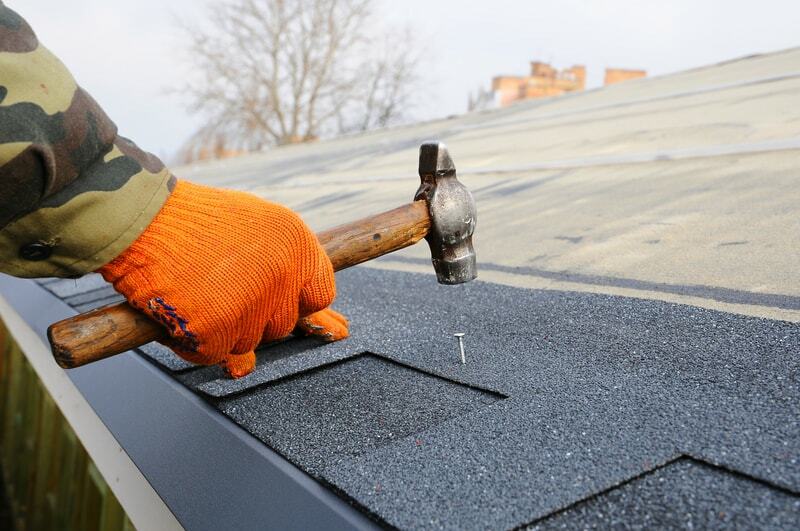 If you want to lessen the chances of getting a leaky roof, regular roof maintenance is a must. It’s a given that in order to find a leak or two in your home, water must flow over the spot where it can enter. Leaks involving your plumbing are easier to detect than roof leaks, since water continuously flows. Roof leaks, on the other hand, will only make their presence known when it rains or when snow on the roof begins to melt. And if you recall, we mentioned that the locations of where water drips down if usually different from where water enters the roof. This fact adds to the challenge of finding it. Go to the attic while it is raining or immediately after, bringing along with you a flashlight. But if you prefer working on it on a clear day, have someone climb up to your roof and bring a water hose to spray water all over the roof. If insulation is present, remove it and see if any obvious entry points of water are present. Look for any signs of water in the attic. See if the rafters, trusses, and other roof components have dripping water, watermarks, or even signs of mold growth. Also inspect the attic floors for puddles. Use the flashlight and point it towards the underside of the roof. The light will be reflected when it hits water, making it easier for you to see if water is present anywhere. It will also allow you to see any holes or punctures on the roof. Also, check if water is flowing and trace its path to see where it originates. Inspect other sections of the roof, roof decking, and the walls connected to it. Pay closer attention to joints and all possible entry points of water. If there are pipes present in the attic, check if the leak is actually coming from your plumbing system and not the roof. Exposed nails may also be the cause of water leaking down, since it can promote the formation of condensation that you may mistake for a roof leak. Look for marks and discolorations present under the roof and its supports. Up on the roof, check the condition of not just the roof itself but also of the accessories installed and the joints. Once you see possible entry points of water, mark them with a chalk or any other marker. This allows you to confirm later on if the suspected spots are the actual source of your leak. On a clear day, go back to the attic and have someone climb up the roof and listen as you tap on the marked spots. He or she should mark those spots on the roof for later investigation. If you were able to confirm the source of the leak after simulating rain falling over your roof, the kind of fix needed for it will depend on the cause. There’s no single way of getting rid of all causes of a roof leak. Attics are helpful in locating a roof leak. It allows you to take a closer look at what’s going on under your roof, letting you check for possible leak sources without having to first go out and get to the roof itself. But, how are you going to find the source of a leak if you don’t have any access to your attic? In cases like this, the best way to see if you have a leaky roof is by heading up to your roof and searching every nook and cranny of your roof for signs of damage or components that have lifted up. Focus on the siding and step flashing. Inspect the walls outside of your home for any watermarks. Edges of the roof are usually several inches away from the siding and walls, so only roof leaks are the likely cause for water stains on the upper half of your sidings. The presence of rust on the flashing and gaps on your siding are also good indicators of roof leaks. A common effect of roof leaks is having those unsightly brown stains up on the ceiling inside your home. These ghastly watermarks are created when water settles on your ceiling and gets absorbed by it. Usually brown in color, these stains will grow bigger if the same spot continues to be waterlogged. When ceiling stains are present, you will also feel wetness or see water actually dripping down on those spots. Because you don’t have access to your attic where you can look at the roof’s underside, the only options for you to find roof leaks are to focus on visual signs, namely watermarks and water actually dripping down, and inspecting your roof. Even if the seemingly easiest way to find and trace the path of water coming from a roof leak is via the attic, you should never attempt to open up a sealed attic by creating a hole on the ceiling. Often, older homes conceal various pipes and wiring behind it – you might end up damaging them in your attempt to enter your attic. A lot of home-related projects can be done without the help of professionals. All a homeowner would need are the right tools, guts, and willingness to follow instructions. Doing so is challenging, but it is also rewarding. You get to finish a tough task by yourself, not to mention save a lot of money on professional fees of contractors. After all, you’re spending zero on labor. But, there are limits to what you can attempt to fix by yourself; some tasks can be done by any homeowner, while some will really need professional help. And if you’re wondering where fixing roof leaks will fall in that spectrum, it is generally classified as a task best left to professionals. It’s not enough to rely on video tutorials and online instructions. You also need to have the right skills, knowledge, and experience to make sure that you’ll definitely solve your leaky roof. Tracing where the leak is coming from takes a long time, even for professionals. DIYers can spend an entire day just finding the leaks, while roofers will take only just a few hours at most for the same task. If you don’t want to spend your entire day looking for it, getting a roofer would be best. They already know where to look, with or without attic access in your home. Not all of us have toolboxes worth drooling over. Some only have the essentials, while there are also others who have equipment that would rival a hardware store. We know that roof leaks, from finding to fixing it, will require not just your ladder, hammer, and other basic tools. And, it’s more than likely that you don’t own all the necessary tools for a roof job. And before you can get to work on it, you’ll have to complete your toolbox. This can be quite expensive. And, you’ll also have to buy the materials to patch up your roof, replace the sealings and flashings, and so much more. Imagine how much all that would put a dent on your wallet, not to mention delay the repairs. This nightmarish situation will hardly be an issue with professionals, since they already have the equipment needed to fix a leaky roof. And, the search for the materials will no longer be difficult; they already know where to buy them at fair prices. In fact, you may even get big discounts on roofing materials with their help. High places are not just the bane of existence of those with acrophobia; they are also a burden to even the most seasoned contractors. The moment you take your first step up the ladder, you are already at risk of falling and getting injured. What more if you’re already way up high on the roof? It’s not just you who needs to climb up the roof; you also need to bring the tools and materials you will need with you, making the climb up extra risky. The higher your roof is, the riskier it is to work on. Unless you have a flat roof, the climb up is not the only one you need to deal with. Roofs are sloped, which adds to the difficulty of the task. 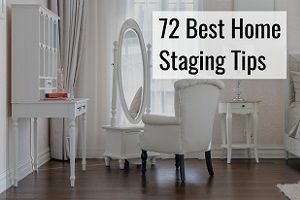 You need to concentrate not just on adding a patch to cover the hole on the roof, resealing loose vent boots, and all other necessary work, but also in maintaining your balance while doing so. One misstep while climbing up or doing the task up on the roof and you might find yourself plunging back to the ground – it’s going to be either a trip to the hospital or to the morgue for you. And if you’re not aware, it has been reported that almost half of the construction-related accidental deaths involve falling from the roof. It’s no wonder roofing jobs are all considered dangerous. It’s a given that manufacturers, in general, have stringent requirements when people try to claim warranties. A lot get turned down or rejected whenever they file their warranty claims, because they unknowingly voided one or more clauses. IF you do DIY work on a roof while it is still covered by warranty, chances are that this would void it. Most manufacturers require homeowners to get roof repairs done by licensed roofers, with some of them even requiring homeowners to hire roofers affiliated with their company. Read our article on homeowners’ insurance and roof leaks. The risk of failure is higher than the chances of success in most DIY jobs. And for roof tasks, this is even more amplified. Tasks considered simple to a roofer will already be challenging for anyone inexperienced. Also, DIY work may even do more harm than good in the future. You may not be aware of the other issues already present in your roof that also needs immediate fixing, since an obvious leak is the only thing that you are focusing on. While you are adding a patch to your roof, you may have seen some loose shingles but didn’t pay attention to it, thinking it can’t do any damage anyway. A botched DIY roof repair job equals wasted money. Even if you keep buying roofing materials that don’t go beyond $100, adding them up will make you realize that you will actually get to save if you hired a roofer from the get-go. If your primary goal is to save money that’s why you are considering attempting to fix a leaking roof yourself, even if you don’t have the training nor knowledge for it, save yourself the hassle, the headache, and the potential injury by letting a pro do it. Ah, repair costs – the one thing that scares homeowners like you from considering getting the services of a professional. It’s a misconception that all home repairs will cost around thousands of dollars; in fact, a lot of them can be cheap. Note that roofers may also bill you either by the hour, ranging from $45 to $75, or for the entire project. If you are tired of putting up with your leaking roof, which means pausing your Netflix marathon when it starts raining to grab a bucket to catch the water dripping down or not being able to go back to sleep because of the constant dripping sound that a leak creates, it is time to get a roofer involved. The search for a roofer to fix your roof leak at a good price is not as easy as it sounds, unless you decide to just go for the first roofer you see. Do this and you risk getting billed way higher than what most roofers would charge for the same task. For any home repair or home improvement job you need, you want to get the best prices and to make sure that you are being billed fairly. We know that contractors generally have high rates, but there are also some who would take advantage of that fact and charge way higher than they should. This is why it is vital to ask around and compare the quotes of different contractors. That way, you will have a general idea of the price range of getting your leaky roof repaired. Unfortunately, some contractors ask for fees before they give their quotes for the task to their potential clients. But, we have a surefire way of avoiding this. If so, you should be aware that we have a free service that allows you to get as much as four free no-obligation quotes from qualified contractors within the vicinity. Notice how many times we said free? That’s because we want to help you solve your roof issues, and make it easier for you to find the right roofer to do it. If you have a leaking roof and like free stuff, then there’s really no reason for you not to try out our service. After all, we don’t require you to choose one among the contractors who would get back to you with their quotes to avail of our service. That’s what we mean by no-obligation quotes – you can always turn down the offers and quotes you receive, if none of them are to your liking. So, stop ruining your day by trying to live with your leaking roof. Fill out our form now to get that fixed soon and have uninterrupted movie marathons during rainy days!